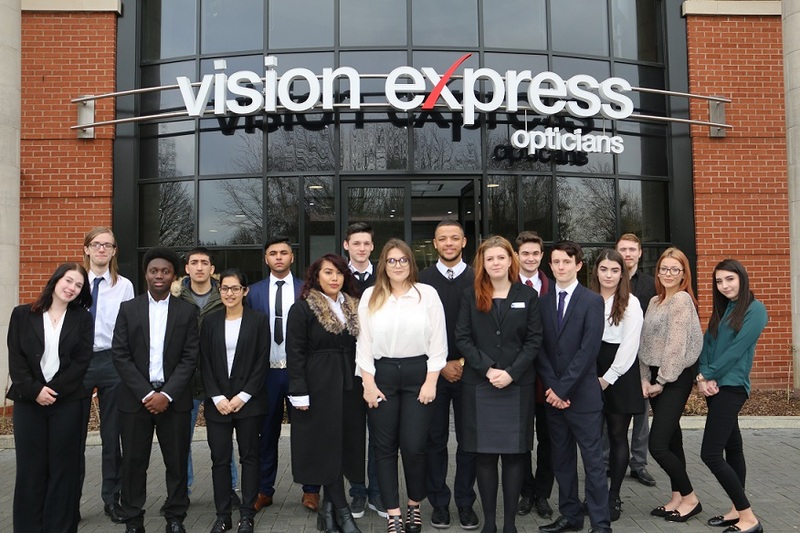 A group of youngsters have gathered in Nottingham for their induction into an in-demand apprenticeship programme with national optical retailer Vision Express. The 13-month employee-embedded scheme accepted its first recruits in February 2014, and Vision Express has since been deluged by over 5,500 applicants. Seventeen new apprentices were welcomed to the company’s Store Support Office on 8th March. Every apprentice successfully completing the scheme has the opportunity to secure a full time, permanent post as an optical assistant within Vision Express and will qualify with a Level 2, Intermediate Apprenticeship in Health (Optical Retail) – equivalent to five GCSEs. The apprenticeship programme is just one way Vision Express is helping tackle the issue of youth unemployment in the UK. In 2015 the company joined The 5% Club, pledging to have 5% of its UK workforce comprising young people on structured training schemes over the next five years. Kate Clayton, human resources director, said: “We’ve received an average of 46 applicants per position, which is a measure of just how much demand exists for a structured apprenticeship scheme, with a growing company that can offer unique and diverse career potential. Feedback from last year’s graduates was positive and we wish this year’s intake every success both on the scheme and with their future at Vision Express”. A total of 181 apprentices have been offered an apprenticeship at Vision Express since the scheme launched.